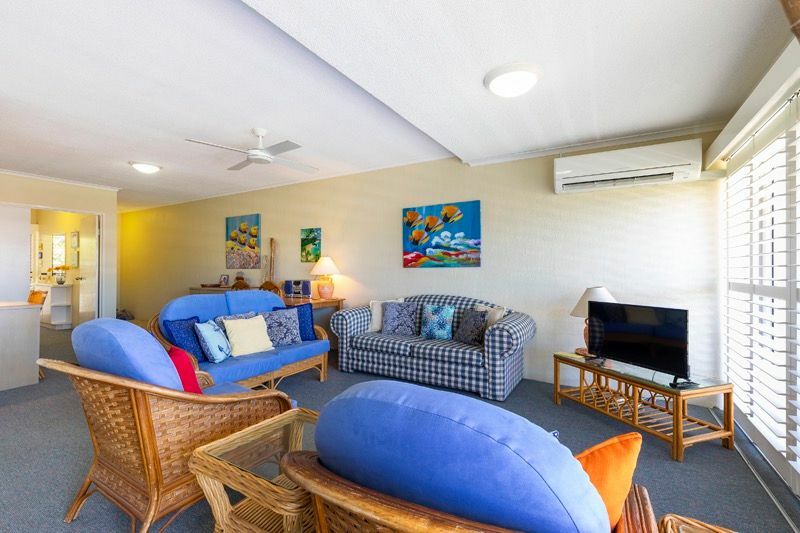 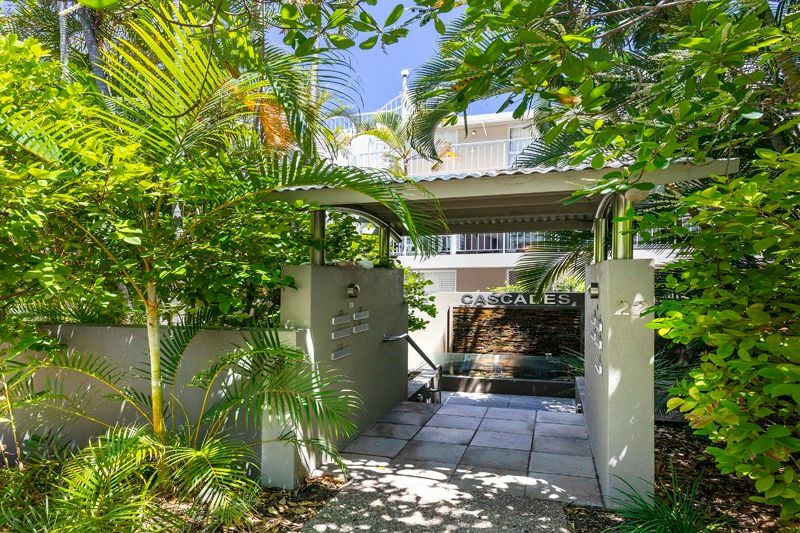 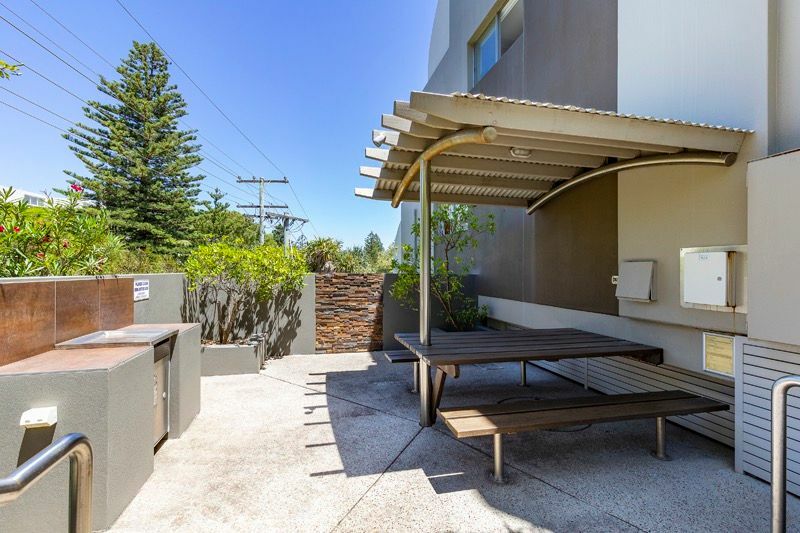 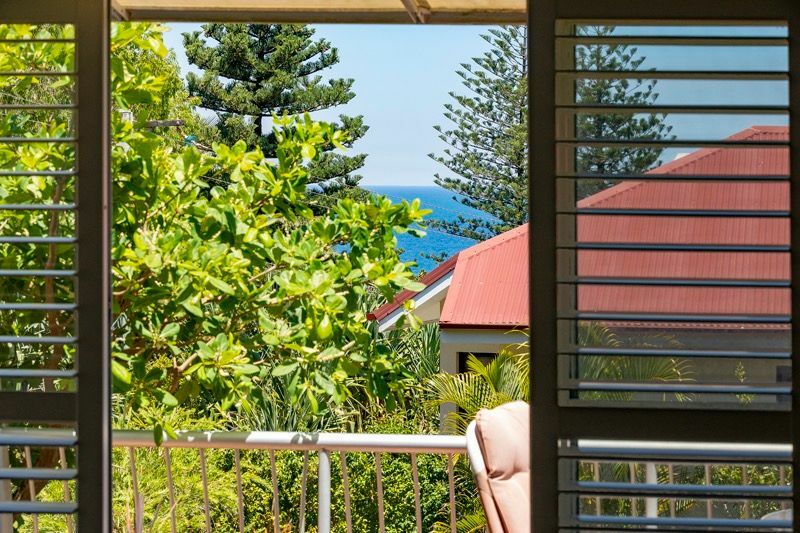 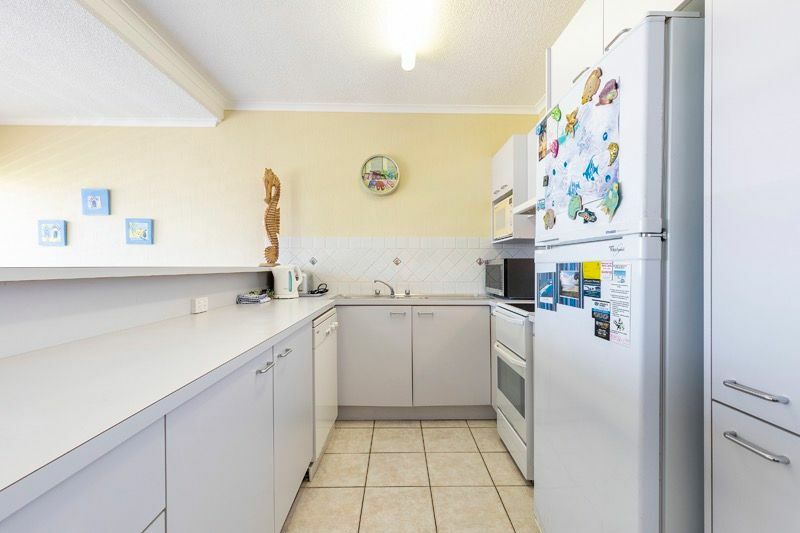 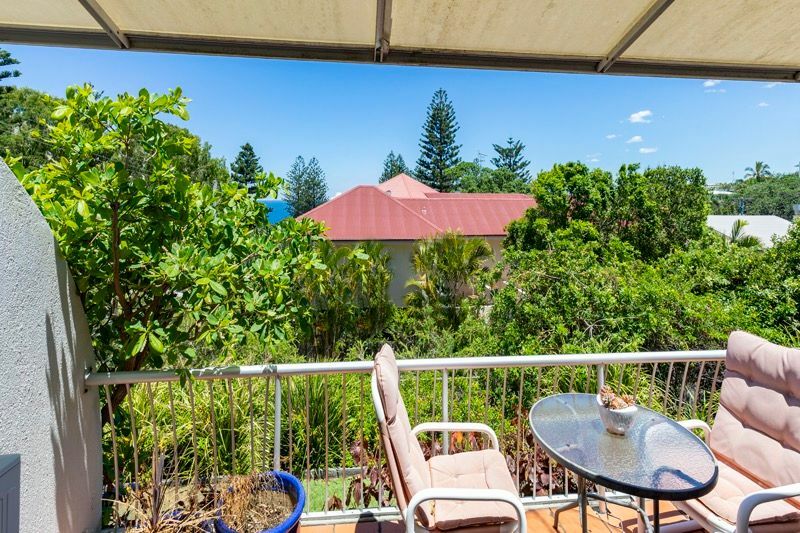 Located on a quiet side street right in the heart of Sunshine Beach, this brightly decorated two bedroom apartment is located in the beautiful tropical setting of the Cascades complex. 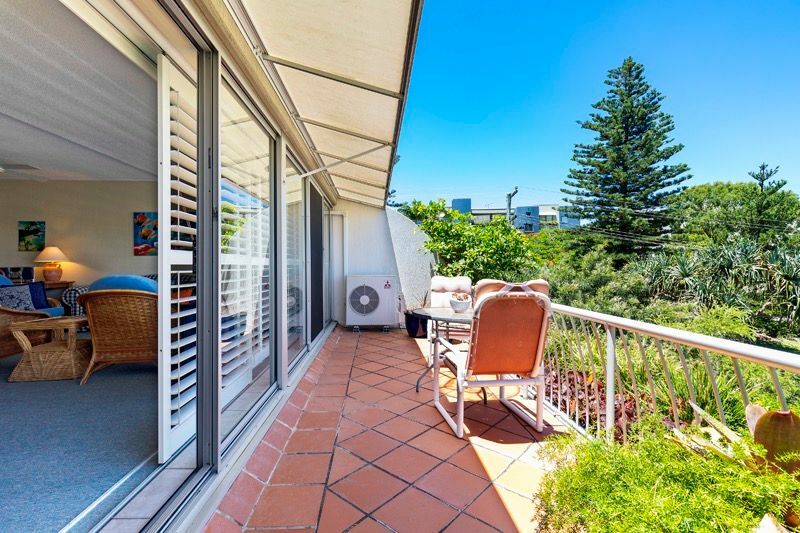 A terracotta tiled east-facing balcony is gloriously sunny in the morning and shaded in the heat of the afternoon, perfect for alfresco dining. 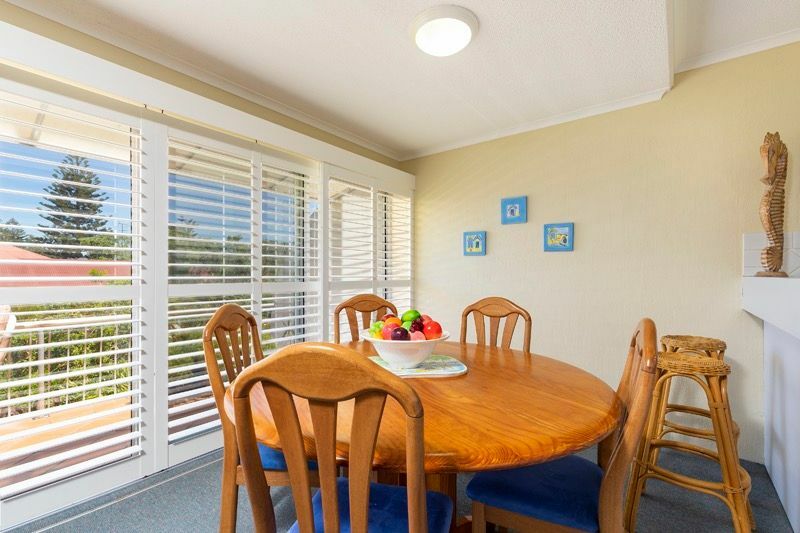 Modern white shutters fitted throughout allow control of natural light and air throughout the day and privacy during the evening. 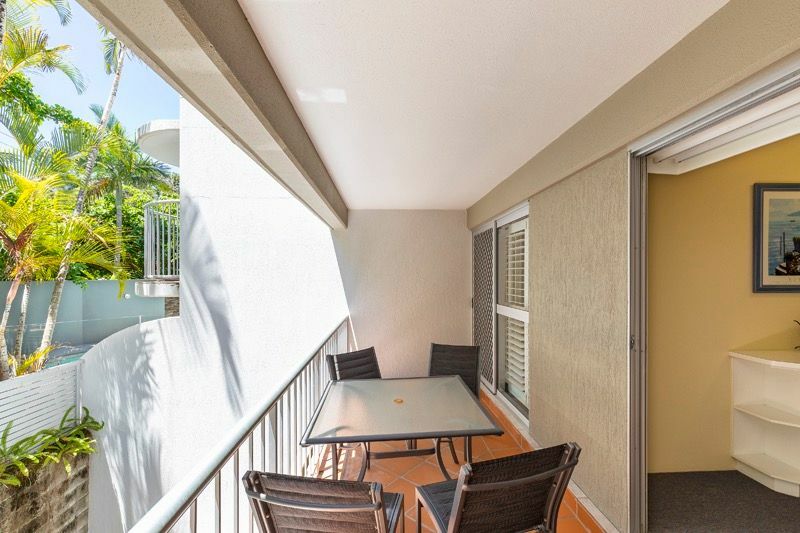 The open plan kitchen/living/dining opens onto the main balcony, with an indoor timber dining table comfortably seating up to five and ample outdoor seating also available. 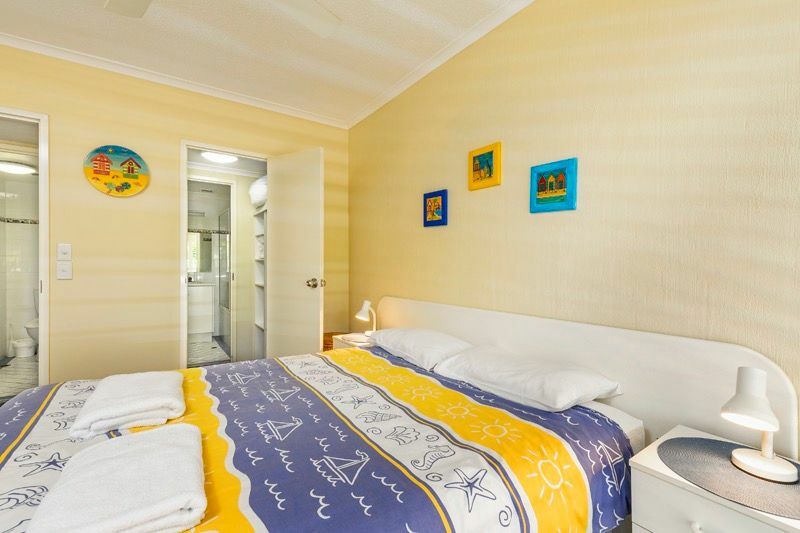 Sleeping up to 4 guests across 2 bedrooms, the main bedroom features a queen bed and opens onto a second balcony, and features a walk-through robe and en-suite with shower over bath. 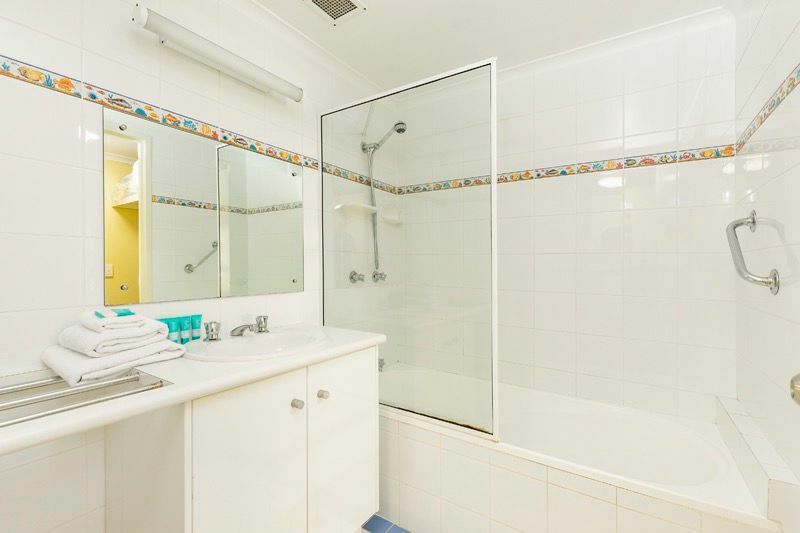 There is adjoining access to a separate toilet and laundry. 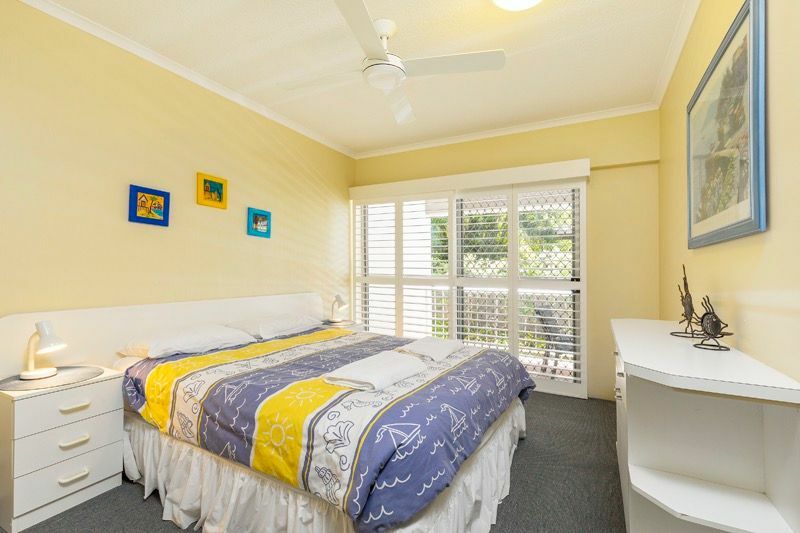 The second bedroom features two single beds and also opens onto the balcony which captures the dappled afternoon sunlight. 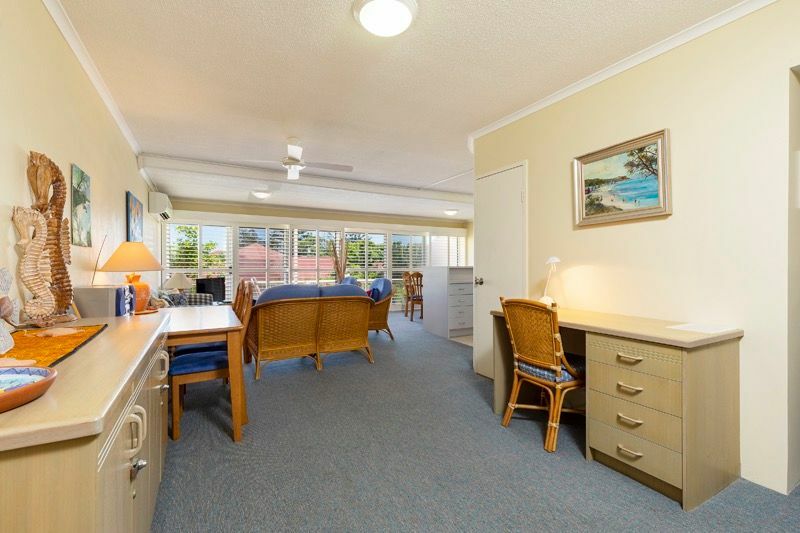 Additional work desks in the living area provide a great activity space for the kids, and they’ll also love the resort pool. 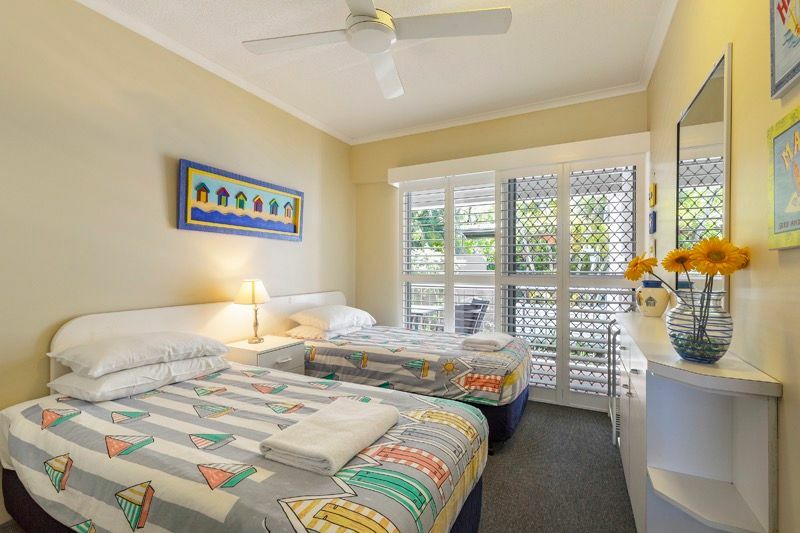 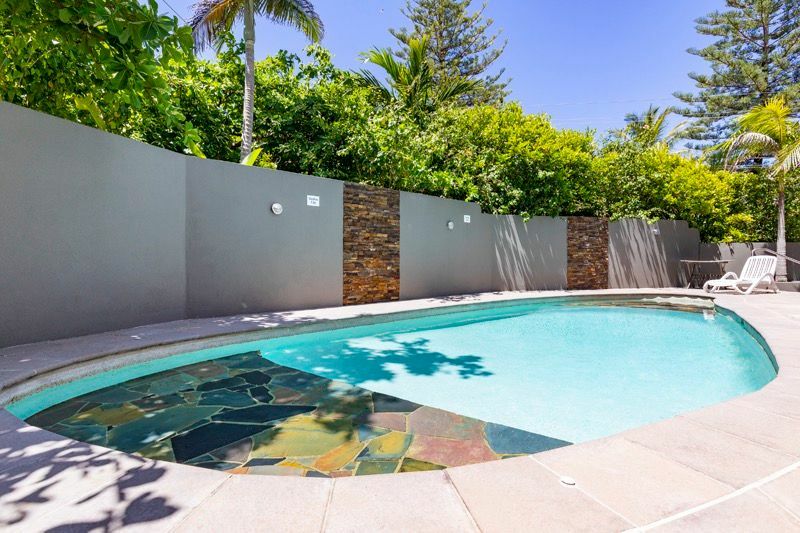 The apartment is literally a 1-minute walk around the corner to the cafes, restaurants and boutique shopping of Sunshine Beach Village, and strolling distance to the popular family-friendly surf club and patrolled beach. 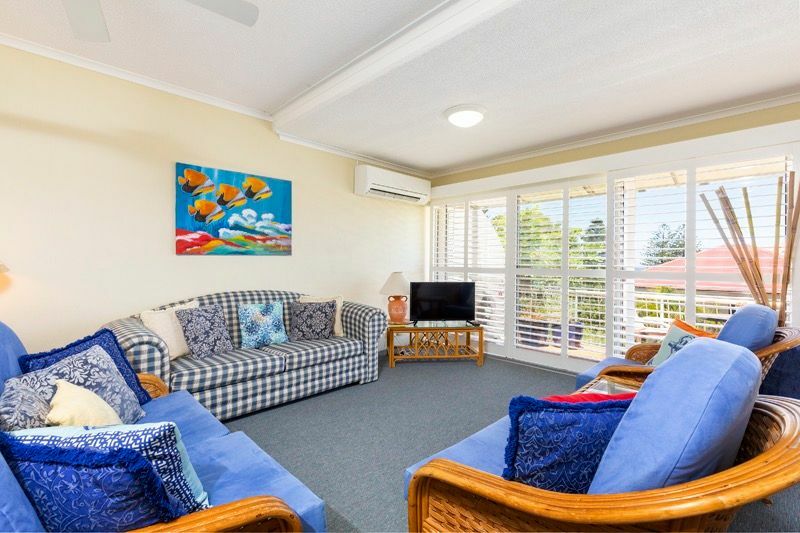 Contact us today on 1300 810 944 or submit an enquiry and let us arrange your next Sunshine Beach getaway at 5/20 Douglas Street.